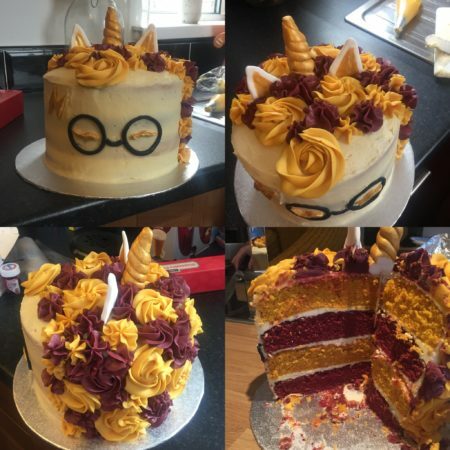 This Harry Potter unicorn bake was made at the request of my niece who loves Harry Potter, just as much as she does unicorns. It's a vanilla sponge with vanilla buttercream. Have a neat clean station and be organised.